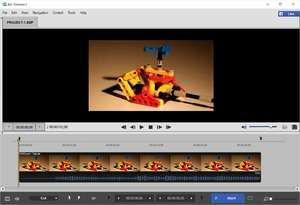 SolveigMM Windows AVI (*.avi) Trimmer is a free video editor to allow you to AVI movie cut extremely fast and lossless. Our freeware AVI editor software is small, smart, easy to use and involves no encoding/decoding processes. That is why the users express their preference for SolveigMM AVI Trimmer if they want to cut commercials or just cut video files they have. Version 6.1.1811.14 is a freeware program which does not have restrictions and it's free so it doesn't cost anything. For security reasons, you should also check out the SolveigMM AVI Trimmer+ download at LO4D.com which includes virus and malware tests. Additional screenshots of this application download may be available, too. 4.5 out of 5 based on 49 ratings. SolveigMM AVI Trimmer download been highly rated by our users.